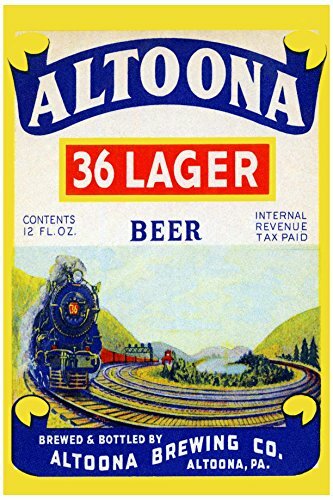 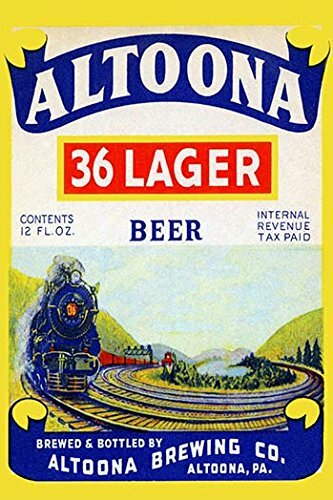 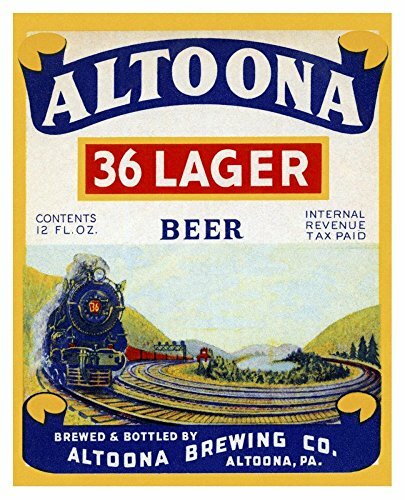 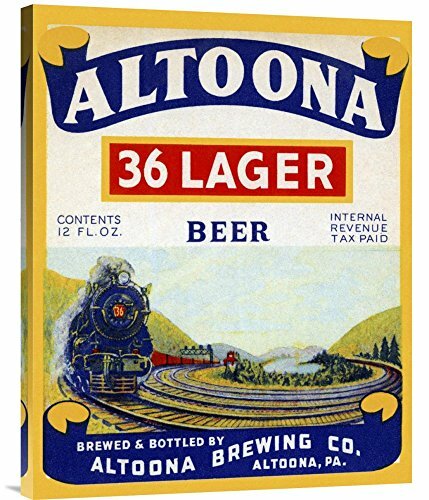 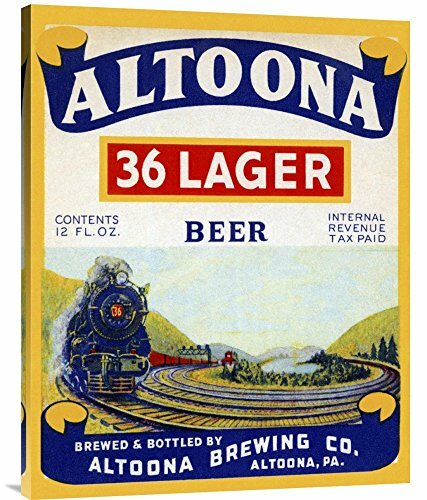 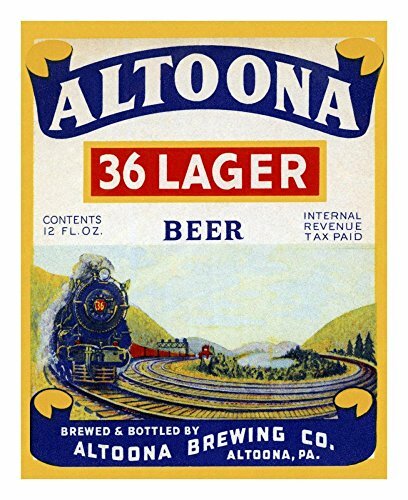 Buyenlarge 0-587-22989-6-P1218 "Altoona 36 Lager Beer" Paper Poster, 12" x 18"
This is a label for Altoona Lager beer brewed and bottled in Altoona, PA. 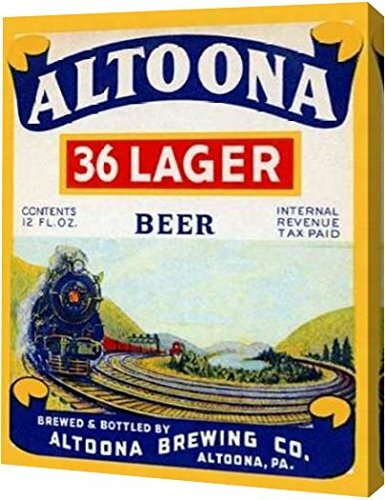 It features a speeding steam train. PrintArt GW-POD-64-376157-12x16 "Altoona 36 Lager Beer" by Vintage Booze Labels Gallery Wrapped Giclee Canvas Art Print, 12" x 16"
Global Gallery DP-376157-36 "Vintage Booze Labels Altoona 36 Lager Beer" Unframed Giclee on Paper Print, 36" x 28 3/4"
Global Gallery DP-376157-30 "Vintage Booze Labels Altoona 36 Lager Beer" Unframed Giclee on Paper Print, 30" x 24"
Global Gallery DP-376157-22 "Vintage Booze Labels Altoona 36 Lager Beer" Unframed Giclee on Paper Print, 22" x 17 5/8"
Buyenlarge "Altoona 36 Lager Beer" Paper Poster, 18" x 27"